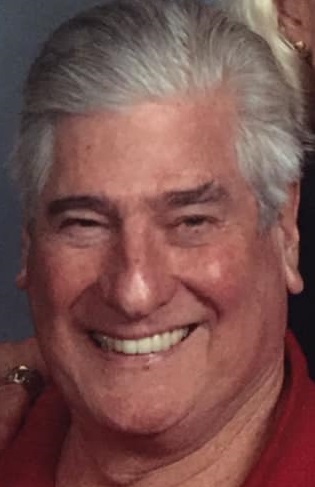 Dr. Charles de Lorimier, known to his friends as Chuck, passed away on March 21, 2019. A retired Napa-based orthodontist, he leaves behind countless beautiful smiles and a lot less oral overcrowding thanks to his work. Outside the office, Chuck was a formidable chili cook off opponent and home winemaker. He was particularly known for his prize-winning Petite Sirah which he bottled in his garage and later in a backyard shop dubbed “Chubo Cellars” (for Chuck and his wife Bonnie). Chuck always regretted a youthful decision to leave the Boy Scouts before making Eagle, so he became a Boy Scout leader to ensure no one else made the same mistake. He passed on endless facts about astronomy to his kids and made valiant attempts to stamp out bad grammar where ever he encountered it. He ran a roasted pig pit like a pro every Bastille Day and he smoked a Thanksgiving turkey that would melt in your mouth. He had a deep interest in family history and his French heritage. Chuck was born in Washington DC on May 27, 1940. A graduate of Saint Ignatius College Preparatory, he was raised in San Francisco. He was an active member of the 20-30 Club when he first moved to Napa with his young family, then a long time Rotarian after that. He married his high school sweetheart Bonnie on August 3, 1963. Chuck is survived by his children; Kristine Dworkin and her husband James, Tracy Foley and her husband Jeff and Roger de Lorimier and his wife Allison and seven grandchildren; Lyndsey and Philip Dworkin, Korissa and Mikayla Foley and Chase, Hailey and Reese de Lorimier as well as his brother Jacques and fur buddies Cookie, Kianni and Gus. He is preceded in death by his wife Bonnie Douglas de Lorimier, his parents Alfred and Emilie de Lorimier and siblings, Dr. Alfred A. de Lorimier, Jr. and Jeanette Miller. Funeral services will be held at 11AM on Wednesday, April 3, 2019 at St. Apollinaris Catholic Church in Napa. A reception will be held in the church hall afterwards. Words of sympathy may be posted online at tulocaycemetery.org.